Leave the ordinary behind and embrace ultimate comfort at the Portola Hotel & Spa. Each of our 379 Monterey Bay accommodations are designed to meet your every need. 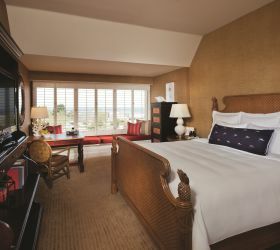 Our calming décor mirrors the mood of Monterey Bay, and each room and suite is equipped with the highest-quality amenities, including sustainable mattresses made from renewable resources, hypoallergenic pillow toppers, duvets and pillows, 300 thread-count white linens, 42” flat-screen televisions, and eco-friendly bath amenities. Our spacious, residential style guest rooms provide your choice of city, garden terrace or bay views. Suites are available and located throughout the hotel. 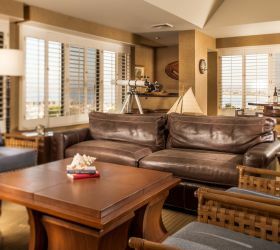 Our top-of-the-line Monterey Bay suites offer both luxury and spaciousness. 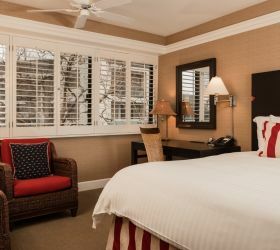 Enjoy a one or two bedroom suite with views of Monterey Bay or a garden terrace for the ultimate in elegant Monterey CA lodging. 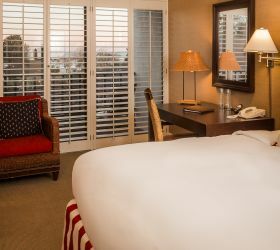 Portola Hotel & Spa offers accessible Monterey Bay guest rooms to accommodate those who request them. 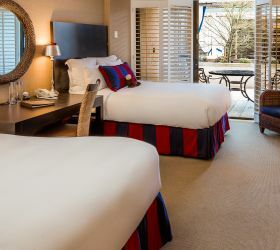 Learn more about accessible Monterey guestrooms. Featuring king or double beds, our Portola Rooms offer Monterey views, eco-friendly bathroom amenities, stylish furnishings and more. Accessible rooms available in both king and double rooms. 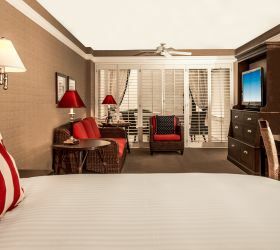 Complete with private balconies, patio furniture and outdoor cabanas, our Courtyard Rooms come in king and double bed variations and feature premier amenities, stylish furnishings and more. 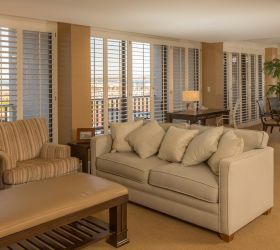 The exclusive Specialty Suites at Portola offer spacious accommodations, unique room types, king size beds, stunning views, premium amenities, and luxurious touches such as marble flooring and gold leaf faucets. Eco-friendly amenities, king or two double beds and a variety of other touches welcome guests in the Portola Rooms. Relax on your secluded patio or send a postcard of Monterey from your work desk as you enjoy the comforts of a Courtyard Room. Enjoy unmatched privacy in a One Bedroom Executive Suite featuring separate living area and king bedroom. Please call (888) 222-5851 to book. 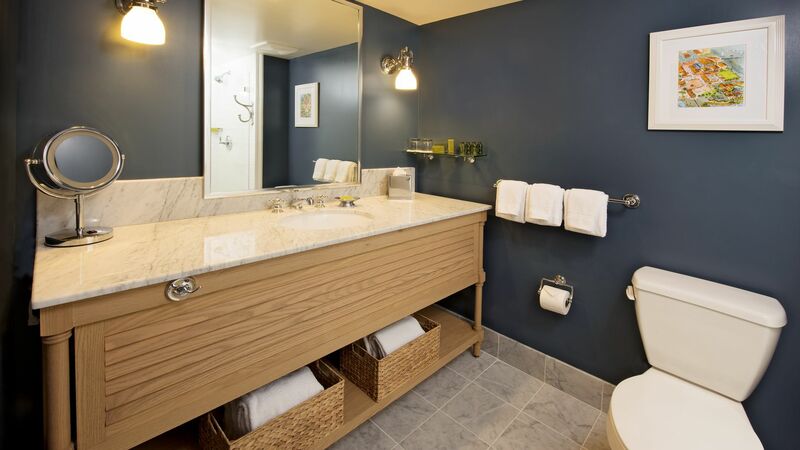 Indulge in ultimate Monterey luxury, complete with European soaking tub, refined furnishings and more. Please call (888) 222-5851 to book.